Fully serviced 2 bedroom apartment. Spacious, fun view, bright and sunny. Quiet, traffic free square. World Heritage Old Town central location on Royal Mile. Close to Castle, station and shops. You will enjoy exclusive use of this beautiful top floor apartment with its two double bedrooms that luxuriously accommodate two couples (two double beds on special request) or one double plus two singles and the use of sofa for a child (please bring a sleeping bag). What do our Guests really appreciate? The central Old Town location, meaning you can walk everywhere, the amenities within the apartment, its spacious feel and Edinburgh’s huge range of interesting things to do many on the doorstep. What do our Guests not like so much? The 57 steps from ground level to the front door with no lift and the out door bins - both of which are the consequence of the very central location and about which we receive little negative feedback! Being city center, weekend nights are vibrant but again we have few complaints about the noise. The apartment is completely free from traffic noise as it is situated on a pedestrian only square. 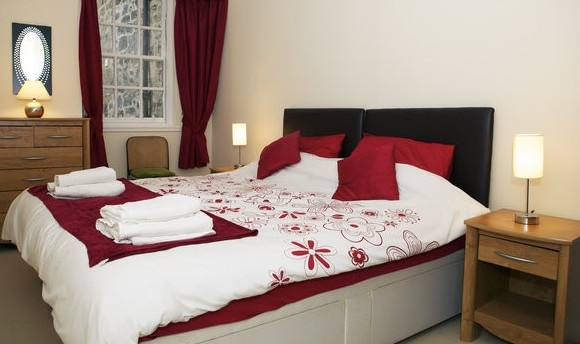 One bedroom has a double bed, and the other has two singles capable of being set up as a luxurious double bed on advance request for which we are charged extra to make up and dismantle - please request two doubles before you make your reservation. There is a bright, sunny, open plan living room with fascinating views over The Writers Museum and pedestrian square, active with its daily walking tours, and towards The Castle. Three-seater and 2-seater leather sofas in the living room, a dining suite and spacious facilities provide lots of room for our guests. 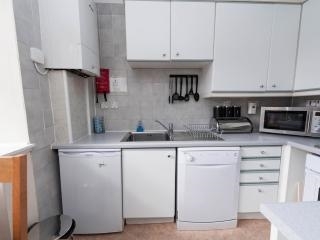 The apartment has a fully fitted and equipped kitchen with dishwasher, fridge, microwave, full cooker/hob, toaster facilities and modest storage space for food etc. 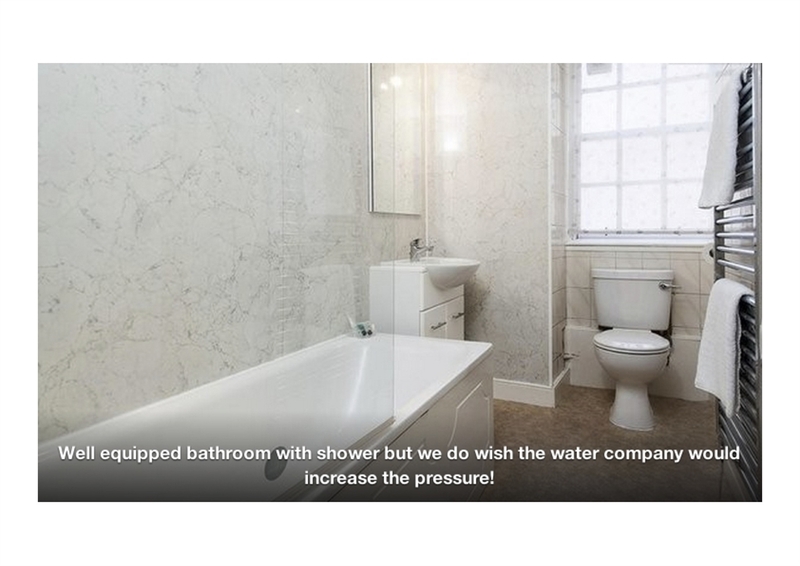 ; a modern bathroom with bath and electric shower and a washing machine in the utility space. Full spec internet and fast wifi connection (which you can use free of charge anywhere in the UK using BT WiFi). Flat screen TV. Hair dryer. Check in: 2pm (early check in/luggage drop off possible). Check out: 10:15am (luggage storage facilities available nearby at Edinburgh Rail Station. During your stay you will have quick and easy access to Princes Street shopping and the enormous choice of central Edinburgh attractions, some literally on your doorstep and most within a 15 minutes walk. 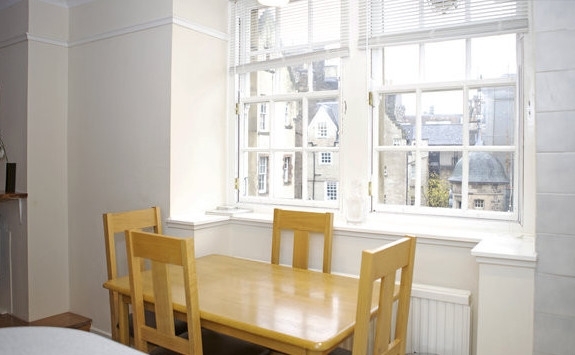 This 4th floor apartment is situated in the heart of Edinburgh's Auld (Old) Town and in the local area you will find everything you need for a great stay; there are food shops, 100s of cafes and restaurants, takeaways, bars and clubs - all within a short walk of your front door. It is also just a short 5-10 min walk to Edinburgh train and bus stations, so you can easily explore more of Scotland and North of England! Travelling by car? Don't, there's no need, but more information about travel, how to get to the apartment and car parking below. Edinburgh is packed with things to see and do. As well as the great restaurants and shopping there are many cultural sights to visit. The city's skyline is dominated by the beautiful Edinburgh (website hidden)-built in 1617, the Castle is one of Scotland's most iconic visitor attractions, and sits on its own volcanic rock at the top of the Royal Mile. The Royal Edinburgh Military Tattoo is also set against the Castle's backdrop every August, and showcases the best military bands, pipers and drummers, dancers and display teams from across the world. - National Museum of Scotland: explore the diversity of the natural world, world cultures, art and design, science and technology and Scottish history, all under one roof and thoroughly well worth a visit to this newly modernised Museum. - Our Dynamic Earth: The Mother Earth of all adventures and a science centre with interactive exhibits about planet earth. - Surgeons' Hall Museums: think gruesome and possibly Burke and Hare. Although initially established as a medical teaching resource, access by all is a priority. Visitors can explore The Pathology Museum, The History of Surgery Museum and the Dental Museum. The kids will love it! - Walking and ghost tours too numerous to list; open the apartment window and you will hear many of the actor/guides entertain their groups with dark tales, throughout the day and into the early evening! 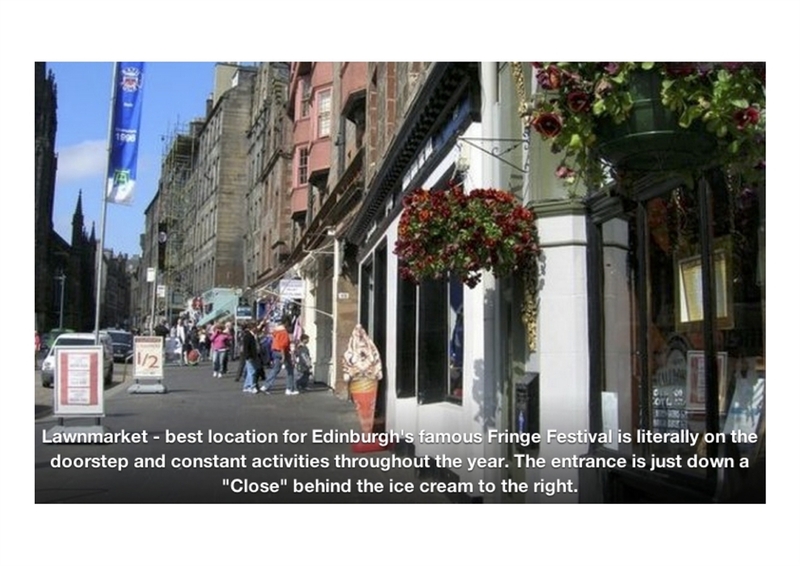 Edinburgh is the world's Festival City. It’s where people come together from across the globe to share their passion for arts, culture and ideas. There are 12 Festivals throughout the year ranging from the famous Fringe during August with 1000s of events packed into a free 400-page Guide, to the Literary, International Science (in the spring) and International Magic Festivals. And not forgetting the BIGGEST OF ALL - Edinburgh's Hogmany: The largest New Year event in the world with five days of celebrations culminating with a massive New Year's Eve street party. The Apartment is close to the Special Party Zone. A three day festival to welcome in the New Year, including a torchlight procession, dancing to A-list musicians, and an incredible fireworks display over the Castle while the entire city sings Auld Lang Syne. By Train: From Edinburgh's main Waverley Station it's then a slow 5-10 min walk to the apartment. Frequent and reliable service linking the airport and the city centre. • Tickets can be purchased from the ticket machines at the tram halt. 24 hour express bus service runs from the airport to Waverley Bridge (near Princes Street and the main rail and bus stations). Buy tickets at the Airlink Kiosk outside Domestic Arrivals in advance at the Lothian Buses website. • Frequency: Every 10 minutes. • Journey time: 30 minutes approximately (Waverley Bridge). • Fare: Single £4, return £7 (reductions for children). The final destination is on Waverley Bridge opposite Edinburgh's main, central station (called Waverley Station). No Car Parking: There is a multi story car park 5 mins walk from the flat on King Stables Road (4 hr max and £2 ph between 8:30 am and 6:30pm) and metered parking nearer on Johnstone Terrace (£3ph same hours). Try the web site parkopedia for other car parks for £15 and £19 per 24 hrs, 10-12 mins walk away and there is sometimes a private drive available for £5.50 per day quite close. Edinburgh City Council out of town Park and Ride car parks are mostly free and many include overnight parking. 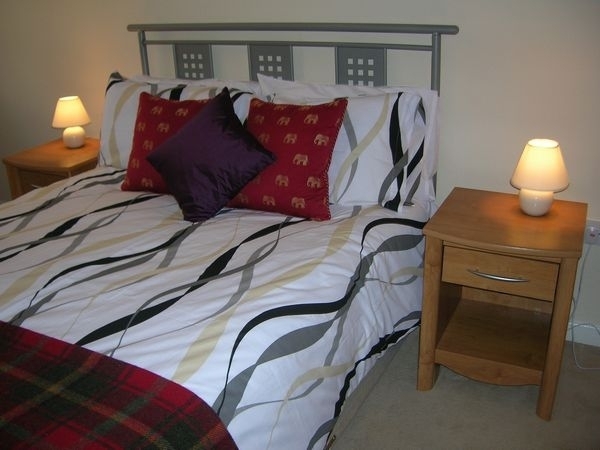 5 of 5 stars Reviewed April 8, 2014 for a stay in February 2014 – “The property is located in an excellent part of Edinburgh. It is spacious, warm, clean, tidy and well maintained. It is close to all local amenities including the station and bus routes. I have stayed there twice and will hope to do so in the future.” Trip Advisor. 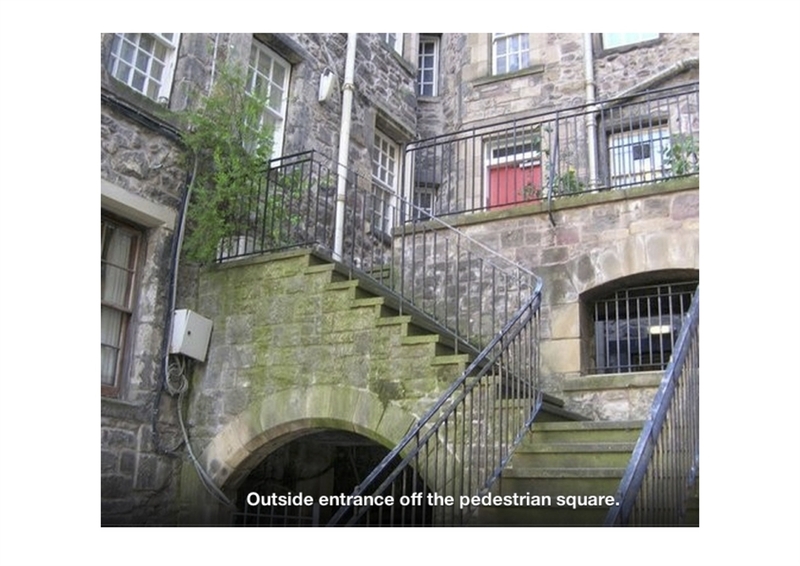 Easy to get to from Waverley Station and a short walk across to the 'New Town'. 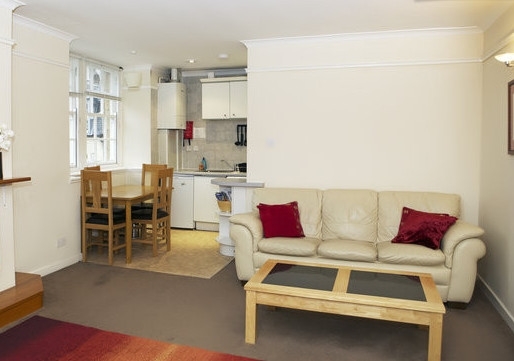 Location is perfect just off the Royal Mile. Lots of pubs, restaurants, galleries, museums and shops within a few minutes walk. Clean, comfy and well equipped. Plenty of space for relaxing.” Trip Advisor. “Fantastic Stay in very central apartment.” 5 of 5 stars Reviewed January 8, 2014 for a stay in November 2013. “We had a great stay in this apartment in November 2013. We were a group of four friends and it was very easy to get to from the airport, easy to find and very very central. We could walk to everything all the sights, the castle, bars, restaurants and cafe's. The apartment was very clean and had everything that we required for a weekend stay. John the owner was great at answering any questions and provided us with everything we needed to know. I would recommend staying here and would definitely come back again.” Trip Advisor. “Thank you for a great stay in your apartment John. John has been a great host and has responded very quickly and has been very helpful with any questions/requests we have had. The apartment was in a super location very easy to find and very central. We were able to walk to everything from this spot and the view of the courtyard is amazing. We had a great stay!! We would definitely use this flat again if we were to return. (my only negative would be the pressure of the power shower - but that’s the only one! )” Thea J. November 2013 NB We are pleased to note that the water pressure issue has been long since put right. This apartment was in the perfect location! We never had to take public transportation. Just walked down the stairs onto the Royal Mile. Home was nice, 4 adults stayed comfortably. Our only complaint was the low water pressure made showers longer. Hali from Seattle 4/01/2013 Note: A new more powerful shower has since been installed. Thank you, Hali, for this feedback. Spot on! What an excellent location to explore Edinburgh. Since it was so central, we were able to break up our day with stops back at the apartment which is so important when you have kids so no one got completely miserable having to go an entire day. It was also a nice find to realise we were in same building as Deacon Brodie whose food we enjoyed. The apartment is spacious, clean and well equipped. Our two boys aged 5 and 7 immediately claimed their room and were so at home. Jayne was very helpful at the end of the phone when we came a bit unprepared. We will be definitely be back. ..... The location is perfect, within a short walking distance to everything. The value was unbeatable. And the apartment itself was the best we've ever stayed in on vacation (by far). Very modern accommodations with lots of room. Arriving to the apartment was seamless thanks to Jayne's help and was very easy to get to it from the airport. If this apartment is available, book it. You won't be disappointed. 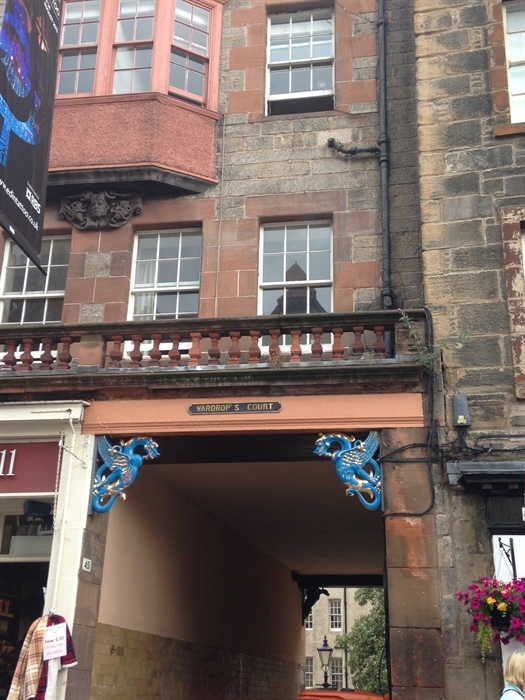 Am writing to say how much we enjoyed the apartment and Lawnmarket - it is a very special place and we were thrown immediately into the history of Edinburgh. This holiday was a retirement gift from my son and daughter-in-law who did all of the arrangements. They could not have done it better. Thank you. 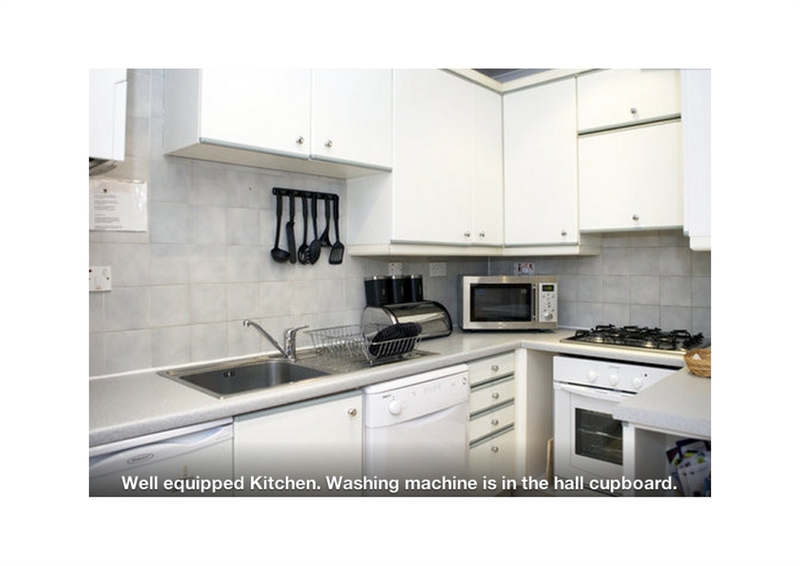 The location is excellent and the apartment is very nice and well equipped. 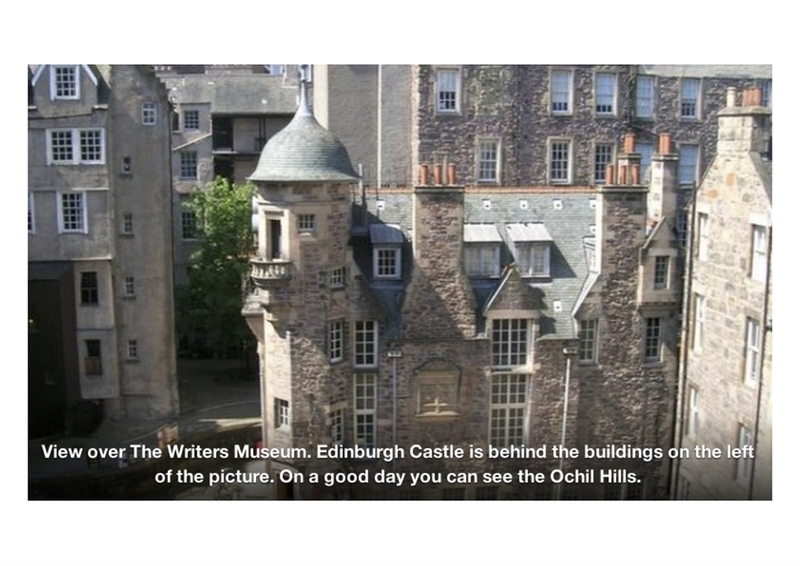 Location Edinburgh is a wonderful city with many things to see and do. Actually to us it was outstanding, because it was everything we wanted. The flat was well laid out and extremely comfortable. I rated Castle Walk excellent because some folks might not want to climb the stairs, or might expect services that would not be included in self-catering. We totally loved it, and Jayne and Tony were very helpful. I would definitely stay there again, and hope to. Loved the view out the kitchen window! Location Loved the area and how close we were to everything in the Old Town. Great pub up the street and to the left of the big restaurant that was a church once. Writers' Museum right across the close should not be missed--it's free, but donate--it's worth it. Can walk to Waverley Station, although it's uphill all the way. Going back down was a breeze. You don't want or need a car here. Aug 2013 "Great apartment and Service and Location"
This apartment has been great for myself and 2 teenagers for our stay in Edinburgh. It was more than roomy so my daughter has her own room, and the wifi and plenty of outlets has been great, as we all travel with lots of electronics. 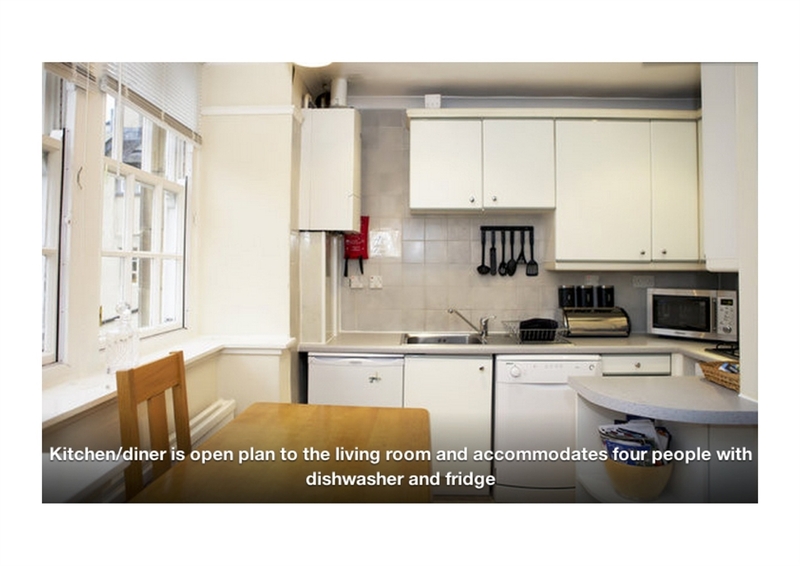 Its also great to have a kitchen and washer/dryer - all the reasons to book an apartment instead of a hotel. The location is also great, with the castle right down the road, and everything else in walking distance. I also want to say the service has been stellar, which is the icing on the cake. The building had to have the gas turned off for some work that was unrelated to the apartment. We were out too late to find out this left us without gas, but the owners came and took care of us as soon as possible. So all turned out great, when in all honesty it could have went poorly and not been their fault at all. But they went above and beyond! 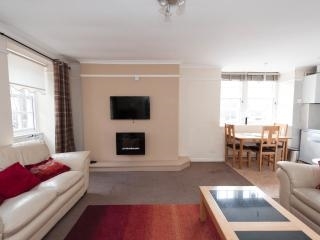 Oct 2013: This apartment is located within yards of the castle grounds and on the Royal Mile. Very convenient and close to Waverley Station where the bus from the airport drops you off, and where you can easily catch a train. Always good to read reviews first, which I had done so I knew that there were many stairs to climb as well as no elevator. Instructions for operating the heating system were easy to follow. It was a perfect apartment from which to do all the sites that Edinburgh had to offer, and close to the University where my daughter attends. John, my host, made sure that keys were available to me on my arrival, and a contact person, should the need arise. Very comfortable and pleasant experience. Thank you.